In 1944, three young men from a small town in West Virginia are among the American forces participating in D-Day, changing the fortunes of the war with one bold stroke. How is that moment aboard a Navy ship as it barrels toward the Normandy shore related to the death of an old man in an Appalachian nursing home seventy-two years later? 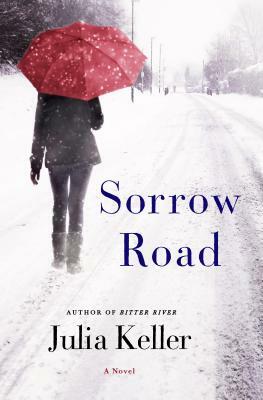 In Sorrow Road, the latest mystery from Pulitzer Prize-winning writer Julia Keller, two stories—one set in the turbulent era of World War II and one in the present day—are woven together to create a piercingly poignant tale of memory and family, of love and murder. Bell Elkins, prosecuting attorney in Acker’s Gap, West Virginia, is asked by an old acquaintance to look into the death of her beloved father in an Alzheimer’s care facility. Did he die of natural causes—or was something more sinister to blame? And that’s not the only issue with which Bell is grappling: Her daughter Carla has moved back home. But something’s not right. Carla is desperately hiding a secret. Once again, past and present, good and evil, and revenge and forgiveness clash in a riveting story set in the shattered landscape of Acker’s Gap, where the skies can seem dark even at high noon, and the mountains lean close to hear the whispered lament of the people trapped in their shadow. Julia Keller, winner of the Pulitzer Prize and former cultural critic at the Chicago Tribune, is the author of many books for adults and young readers, including A Killing in the Hills, the first book in the Bell Elkins series and winner of the Barry Award for Best First Novel (2013); Back Home; and The Dark Intercept. Keller has a Ph.D. in English literature from Ohio State and was awarded Harvard University’s Nieman Fellowship. She was born in West Virginia and lives in Ohio.